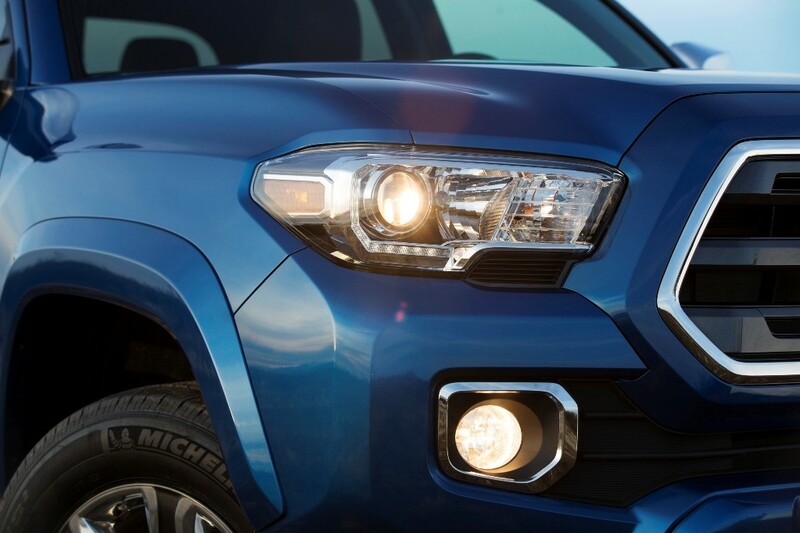 At 1 p.m. eastern time, Toyota introduced its all new Tacoma at the Detroit Auto Show in an effort to maintain its lead position in the mid-size truck market. The Tacoma, which had not been redesigned in a decade, dominates the segment with more than 60% market share. GM challenged the leader last year with the 2015 Chevy Colorado and GMC Canyon, and Nissan is expected to do the same at some point with a new Frontier, probably with a diesel option. It remains to be seen whether growth in this mid-size segment will be substantial or the players will be trading market share from each other or stealing from their full-size truck sales. 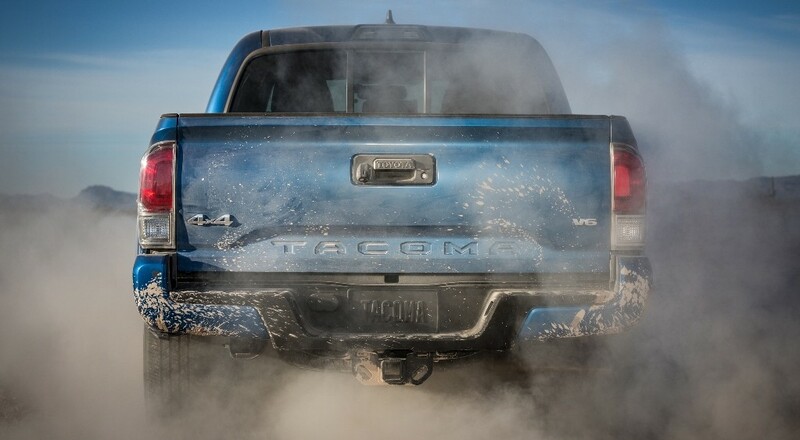 But, with more than 7-million Tacoma’s sold since 1964, those who challenge have a long way to go. The big three abandoned the mid-size segment years ago, Ford and Ram have left their options open after GM committed to get back in. It will be tough to tag the Tacoma, however, since it has such a commanding lead and retains great resale value. Built in both Toyota truck plants in San Antonio and Baja California, Mexico, the 2016 Tacoma was developed in great part at the Toyota Technical Center in Ann Arbor, MI, Emphasis was placed on a stronger, more rigid frame and weight reduction with high strength steel integrated into the body shell using a new hot stamping process. For off-road capability and improved on-road driving, the suspension was also fine tuned. The Tacoma can be ordered with either of two engines — a 2.7L, 4-cylinder and an all-new 3.5L Atkinson cycle V6 with both direct and port fuel injection. The 3.5L is a segment first, according to Toyota. Either of the two are paired to a new 6-speed automatic transmission with electronic shifting. A 6-speed manual can also be spec-ed with the new V6. 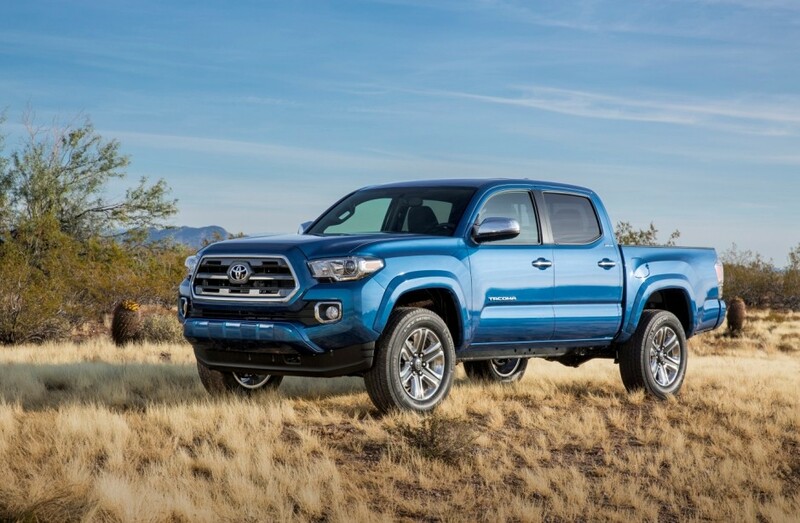 Toyota says that the inspiration for the 2016 Tacoma vcame from desert racing with extensive input from designers at CALTY in Newport Beach, CA, as well as the Ann Arbor facility. A look at the new exterior shows a clear linkage to the Tundra, Toyota’s full size pickup, which was refreshed for 2014 model year. This is especially true in the upper hex grille which dominates the front view. Also on the front end are a taller, more dramatic hood, and headlamps that feature projection beam lamps (LED daytime running lights are available) mounted above the clamp-shaped bumper. The rear view emphasizes tailgate improvements with a new integrated lock and integrated spoiler for improved aerodynamics. It is finished off with a stamped logo just like the tailgate of its big brother, the Tundra. Even more important, the new gate has an easy lowering feature with prevents the slam down that grates on most truck owners. A hard tri-fold tonneau cover is available for the first time. Toyota has refined the Tacoma interior with new soft-wrapped trim and metallic accents. The designers describe the theme as a ‘handlebar” but you be the judge. There are a wide range of premium features, but it isn’t clear yet which are standard and which are options. Among them are Qi wireless charging, smart key with push button start, dual zone climate control, enhanced touchscreen audio, safety features like blind-spot monitor and rear cross traffic alert. Leather trim and power moon roof are also on the list. While I can’s speak from experience yet, Toyota says that this is an exceptionally quiet mid-size truck with a multi-layer acoustic windshield, sound absorbing headliner, floor silencer pad and improved seats. There will be five grades offered. These are generally linked to performance and luxury features that are part of each package. They include a work-ready SR (which I suspect will be the base truck), the SR5, and a line-topping Limited. There are also two TRD editions — the TRD Sport and the TRD Off-Roader. Toyota has cleverly mounted a Go-Pro camera mount as standard equipment near the rear-view mirror on the TRD grades. Kudos. Just brilliant since the Go-Pro is a must have for most sportsmen and off-roaders. I have always liked the Tacoma for off-roading and other sports activities. The 2016 model has multi-terrain technology to regulate wheel spin by adjusting throttle and brake pressure for maximum traction. I also like crawl control which takes over acceleration and braking at sp0eeds of 1-5 mph if the driver selects it. This is great for rock crawling in ranch or other outdoor environments.